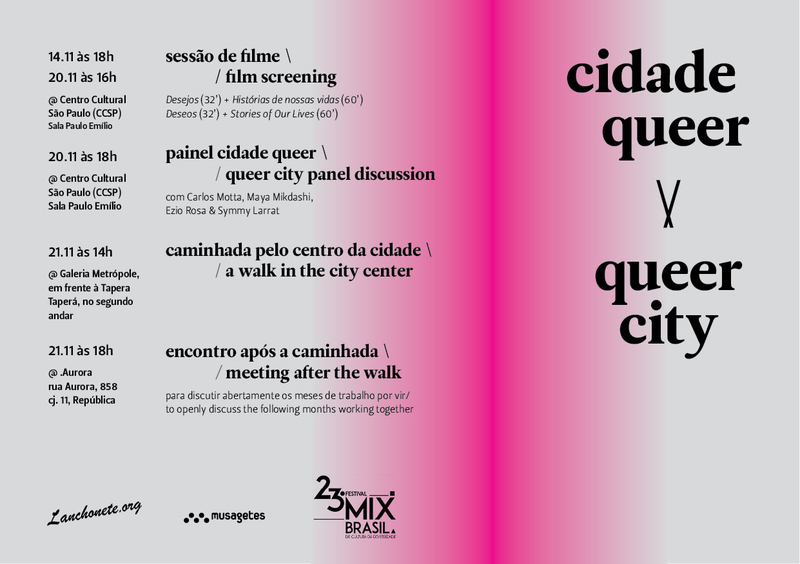 After the successful launch of Queer City (Cidade Queer) in São Paulo last November in collaboration with Mix Brasil, we now have a full calendar of events and projects underway in 2016. Please find Lanchonete.org on Facebook and stay tuned for our next ‘Janta’ (Queer Food / Queer Politics) on May 19th @ Casarão do Belvedere. 22 de março de 2019 às 22:15 10Fri, 22 Mar 2019 22:15:30 +000030.